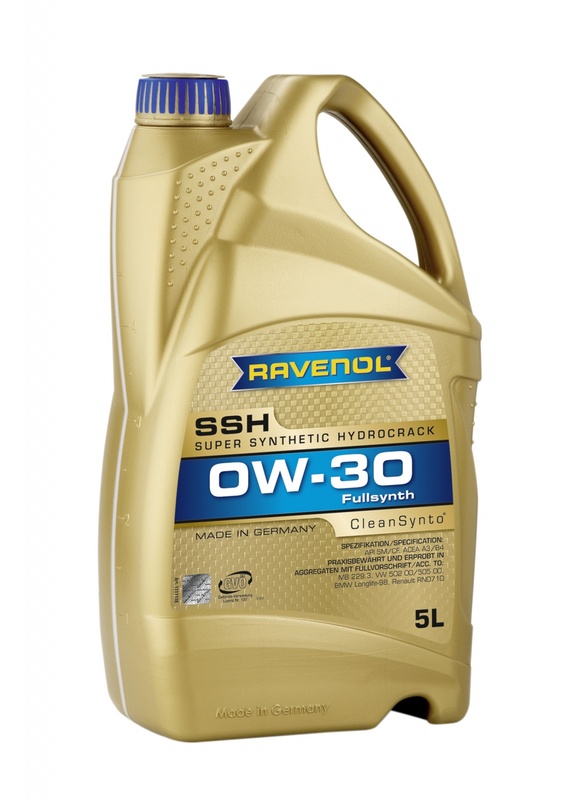 RAVENOL Super Synthetic Hydrocrack SSH SAE 0W-30 is a fully synthetic, universal, low friction engine oil with CleanSynto® technology for car petrol and diesel engines with and without turbo-charging and direct injection. Minimises friction, wear and fuel consumption with excellent cold start characteristics. Suitable for extended oil change intervals where recommended by manufacturer. RAVENOL Super Synthetic Hydrocrack SSH SAE 0W-30 has a high viscosity index because of its formulation with special base oils. The excellent cold start behaviour provides for optimal lubrication, even at extremely low temperatures.